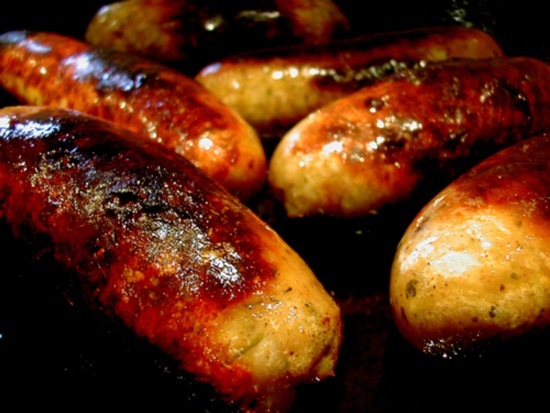 British pork farmers are struggling, which means our traditional sausage is under threat. As you’ve probably heard, British pork farmers are having a pig of a time. The industry is on the verge of collapse. The national herd has shrunk by 10% in the past year alone, sparking the recent Save Our Bacon campaign, supported by Gordon Ramsay, Rick Stein, Waitrose and a Tammy Wynette cover entitled Stand by Your Ham. The problem is that, on average, farmers lose £26 on every animal they produce. Feed costs have doubled in the past year, but while pork prices in the shops have gone up by nearly £1 per kg, farmers have seen barely 15p of that. Imported meat hasn’t helped: less rigorous welfare standards abroad mean foreign pork is cheaper. No wonder so many farmers have thrown in the towel. What can we do? Ask the big retailers where all that extra money is going, for a start – because, if price increases were passed on to producers, there would be no crisis. So, support companies that give farmers a fair deal, such as the Yorkshire sausage-maker Debbie & Andrew’s (www.debbieandandrews.co.uk ). They pay 15% more for their pork, which is sourced direct from British farms. Tellingly, sales are booming – proof that people will happily pay more for quality. Personally, I’m making an effort to buy pork direct, whether from farmers’ markets and food fairs or by mail order. In recent months, I’ve had phenomenally good rarebreed bangers from, among others, Peelham Farm (www.peelham.co.uk ) and Glebe Farm (www.rarebreedsfarm.co.uk ). They aren’t cheap, but they are brilliantly good value. If we want the pig industry to survive, we have to forget about more banger for our buck.